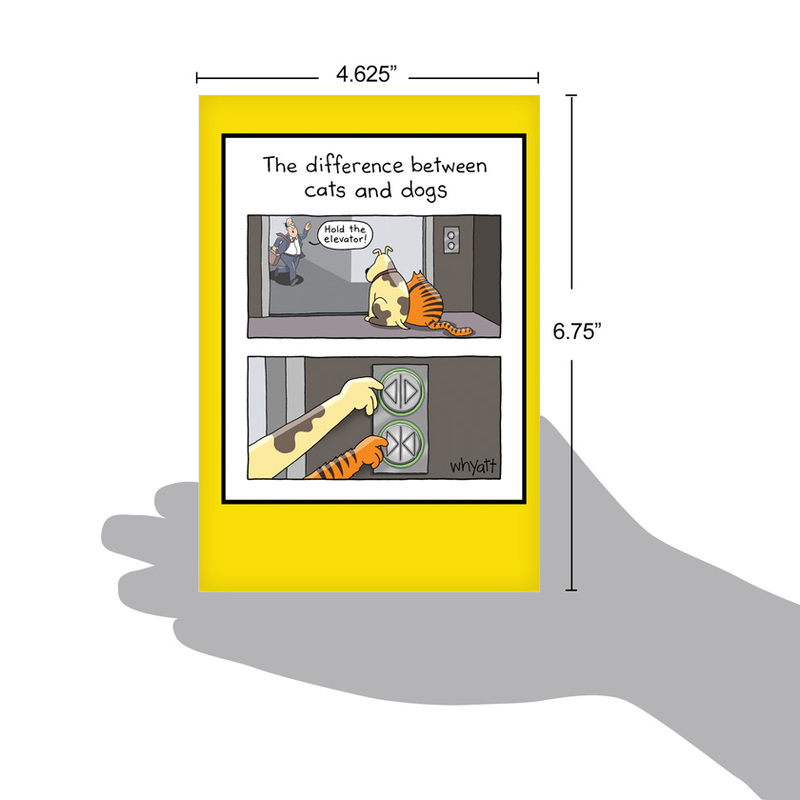 Cover Reads: The Difference Between Cats And Dogs. Hold The Elevator! 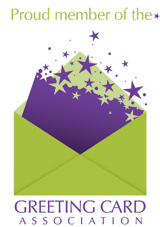 Inside Reads: Hold Everything And Have A Happy Birthday! Cartoonist Tim Whyatt absolutely nails the difference between dogs and cats in this brilliantly funny elevator birthday card. Let's be honest: Even cat people have to admit that if they fall over dead in their homes, the cat will be the first one to start taking bites out of our corpse. How did cats get so domesticated again? Can we sue the ancient Egyptians for making them god-like? 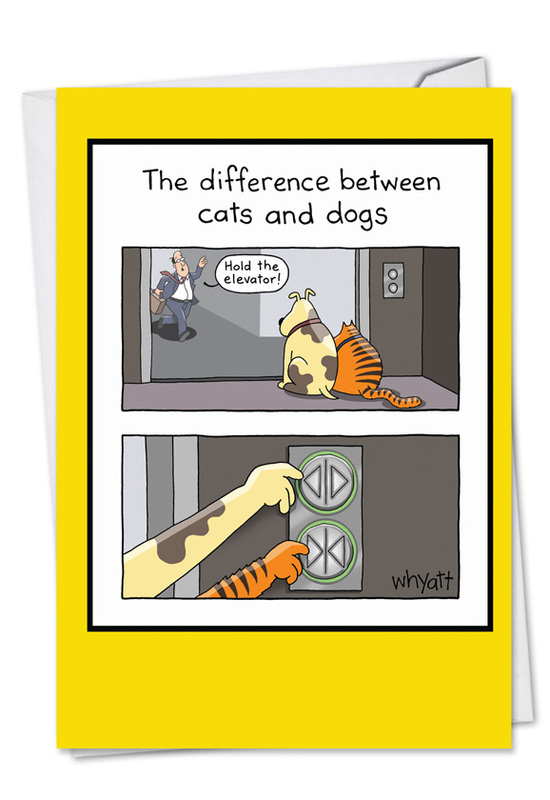 The inherent difference between dogs and cats has never been so comically, colorfully and concisely depicted than on the Hold The Elevator Birthday Joke Card. 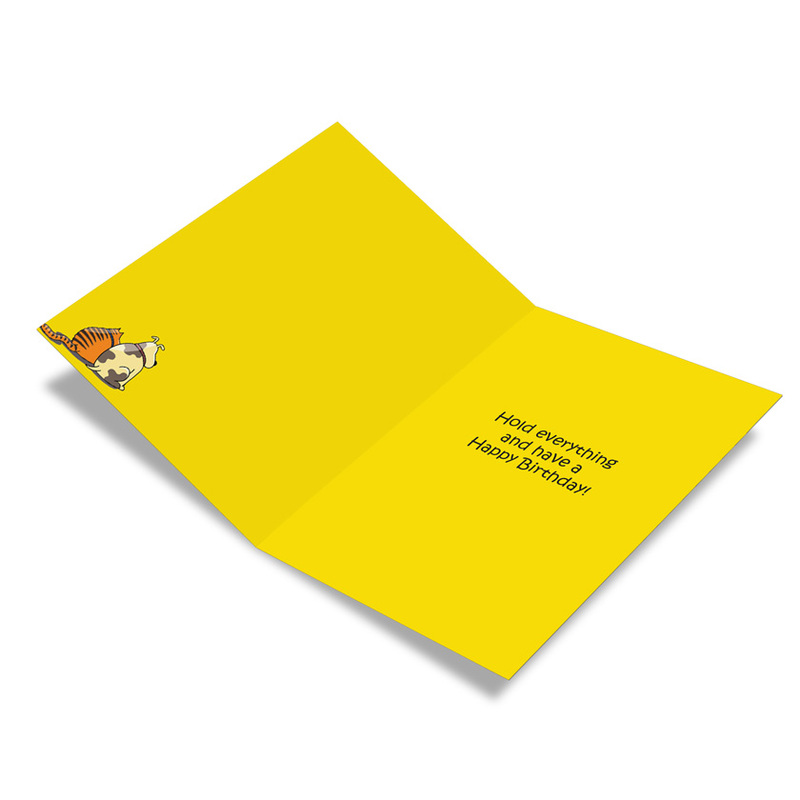 Animal lovers of all kinds will get a kick out of this funny birthday card. 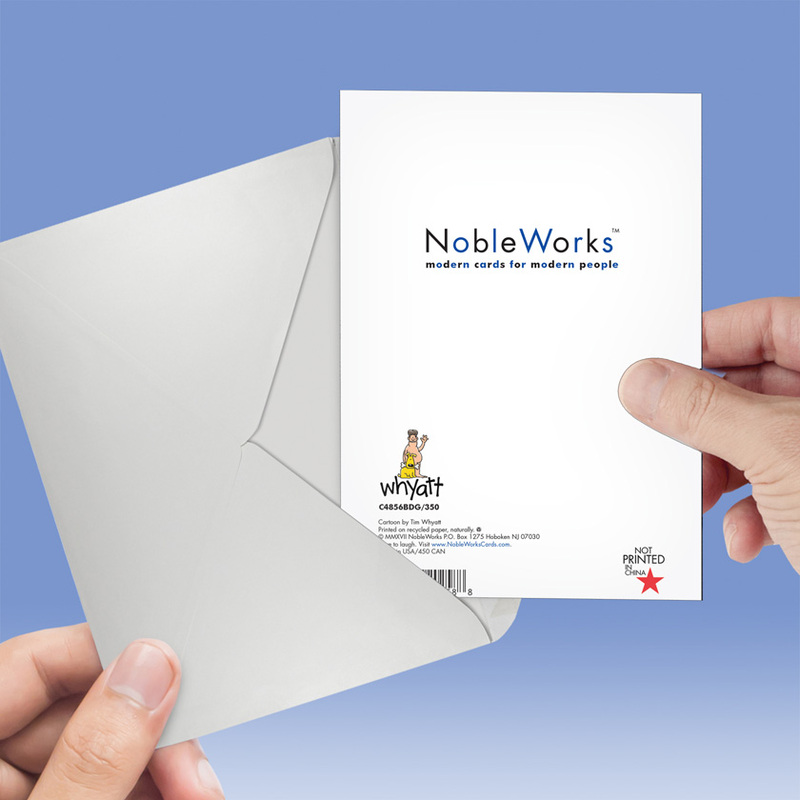 It's a cute, charming and educational greeting card to lift anybody's spirits on their birthday, and the price per card gets cheaper the more you order. this is PERFECT for people with cats and/or dogs! 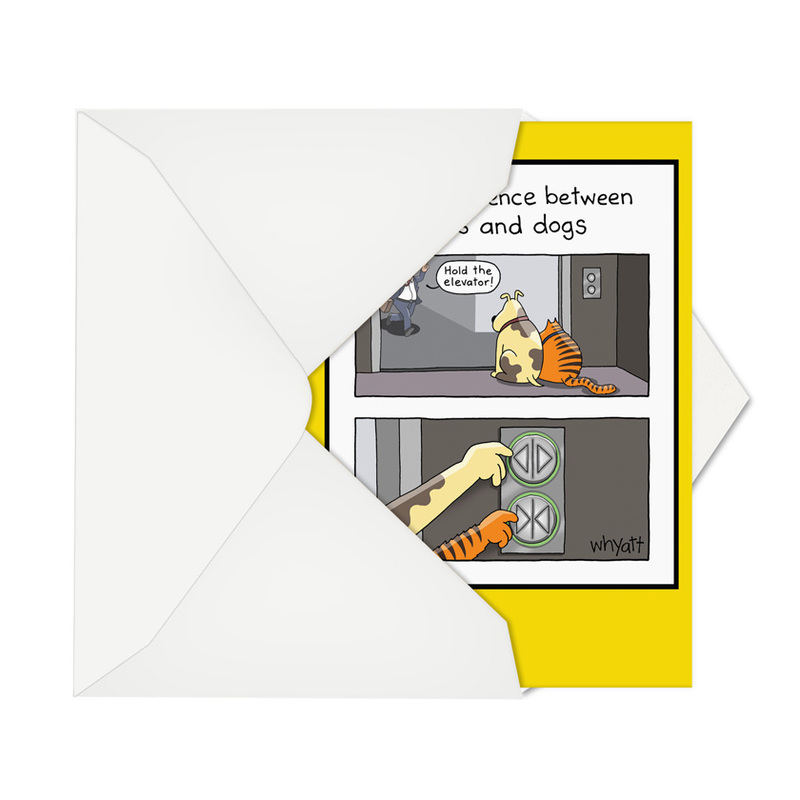 The perfect card for anyone who has cat and dogs. Actually, it's perfect for anyone who KNOWS cats and dogs!